For almost two weeks of testing, soldiers fired cluster munitions into immovable targets. The shooting took place in the light of the day, the maximum shooting distance was 12 kilometers, and the maximum distance from that hood was over 30 kilometers. So far, the M-50 missiles from artillery guns openly used by the Lithuanian armed forces have been able to kill targets up to 11 km. "We tested a new combat technique in accordance with established procedures, but under difficult conditions. The speed of the shootout was intense, but the shot was accurate and the final result met the expectations, "said Colonel Lieutenant Marijus Jonelis, commander of the General Staff Battalion General Romuald Giedraitis. 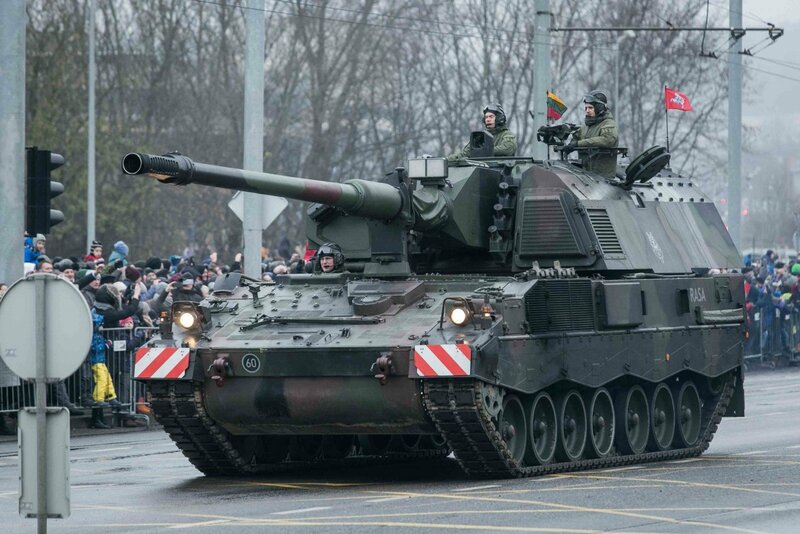 In December last year, the first two modernized self-propelled hubicans PzH2000 from Lithuania arrived in Lithuania. In total, Lithuania should receive 18 such haubits. All the troops of his country should arrive by the end of this year.